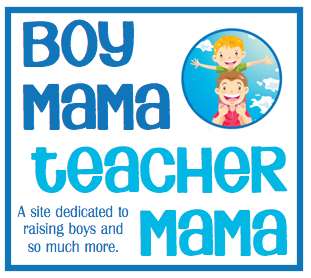 Boy Mama Teacher Mama: Real Life Wednesday–One of Those Days…. I was having one of those days. Nothing seemed to be going right. The laundry, I swear it was multiplying right before my eyes. I ran the dishwasher without soap. I burned the bacon. The dog got sick all over the house. My husband left every drawer and closet door open before he left for work. And my cell phone credit ran out. I called the boys to the door to head out to school not realizing that I had completely neglected to change my youngest out of his pajamas. I swear, nothing, nothing was going as it should. I was finally able to get my eldest off to school. 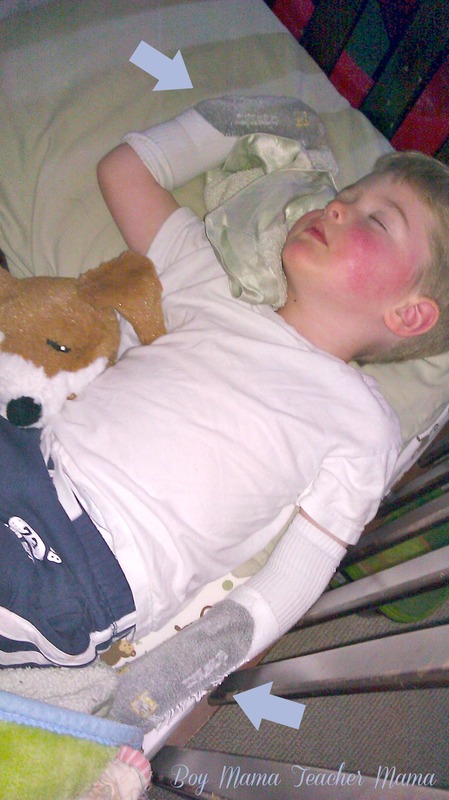 And, thankfully, later in the day my youngest went down for his nap without too much trouble. As he napped, I sat down on the living room floor and had a bit of a pity party. Heck, didn’t I deserve it??? I cried a little, ate some chocolate and watched an episode of Law and Order: Special Victims Unit (a favorite of mine). Then it was time to wake my son from his nap so we could go pick up his brother at school. Still feeling a little sorry for myself, I crept into my son’s room, quietly said his name and looked into his crib. I nearly fell over LAUGHING. I looked at my sleeping angel and this is what I saw…. He was wearing his socks on his hands! Right then and there, my day turned around. All the bad feelings from earlier were gone and the sight of my son, asleep with his socks on his hands kept me smiling until bedtime (and beyond). they can turn our frowns up side down in a flash. I love it when I catch one of my kids doing something silly-It calms our nerves to get on with the rest day – I always wonder what they were thinking at that time they were doing something sweet or silly??? nice warm touching story-thanks for sharing. Awww, how sweet!! I had a day like yours recently with my 2 year old grandson. When he got on the couch with a book and patted the seat next to him and said Nanoo ,read, I sat beside him and he cuddled up next to me and my heart just melted!!!! aw I just love this…. love the photo and love how a little quirky kid can turn around your whole day! I loved writing it for you! May have to write another one for Real Life Wednesdays… Thanks for the opportunity!